Chris Bohjalian gets up early in the morning and heads to his “immaculate” library to start writing. 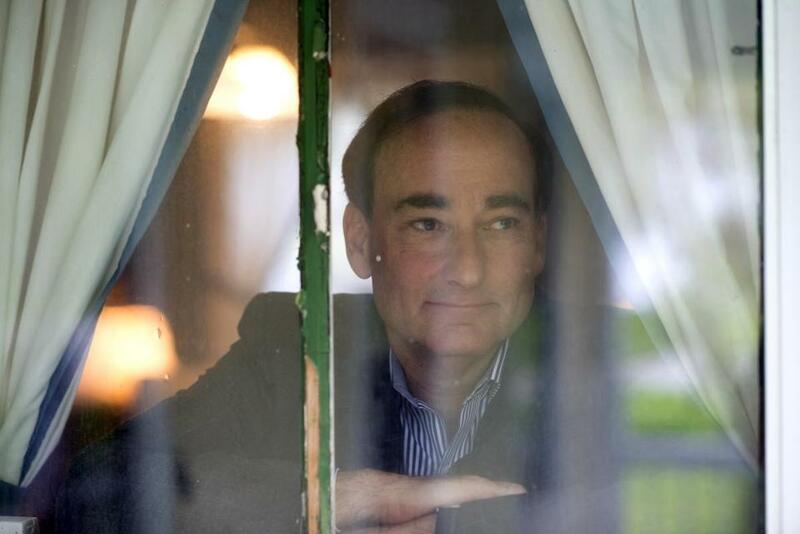 Next month, Chris Bohjalian will publish “Close Your Eyes, Hold Hands” his seventh novels in eight years. He has written five bestsellers, three books that have been made into films, and one Oprah’s Book Club selection, “Midwives.” Bohjalian lives in Lincoln, Vt., with his wife and five cats. LIKE CLOCKWORK: Unless I’m on tour, my days really don’t change . . . This morning, I got up at 6 a.m., and I was at my desk with a Red Bull by about 10 after six. A BEAUTIFUL NIB: I always edit by hand, using fountain pens . . . They are messy, and they force you to think more slowly. 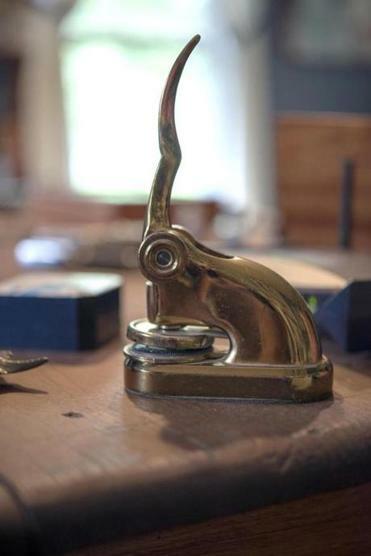 Also, it’s fun — a fountain pen nib is beautiful. I always treat myself to a new fountain pen for every book, and that’s the pen with which I sign that book and edit the next book. NOVEL INSPIRATION: I’m always reading. Whenever I’m reading a novel that I find particularly wonderful, the kind that gives me a deep and pronounced inferiority complex, I feel the need to push even harder to try to make my book really wonderful. I think it’s true for a lot of writers that we always start with a premise that we think is brilliant, and then when we’re part way through the book, we realize that our talent is not quite commensurate with our vision. An Excerpt from “Close Your Eyes, Hold Hands” by Chris Bohjalian. FINDING A PATH: My books will go through six or seven drafts. I depend upon my characters to take me by the hand and lead me though the dark of the story. I never have an outline. I’m usually about 75,000 words into a novel before I know what it’s about and how it’ll end . . . I think it was Gabriel Garcia Marquez who once said that the only reason writers publish is to stop rewriting. 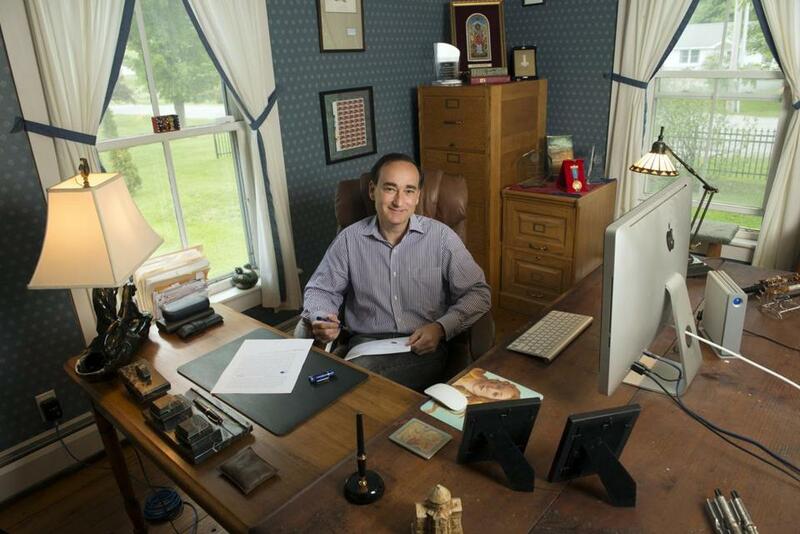 Writer Chris Bohjalian at his home office in Lincoln, Vt.
ALL IN THE FAMILY: My daughter, who’s a 20-year-old actor in New York City, said something really smart and really interesting after she read the first draft of “Close Your Eyes, Hold Hands. “Dad,” she said, “Take this as a compliment because I mean it that way — I think your sweet spot as a novelist is seriously messed up young women.” She’s right. My daughter read the audiobook for Random House audio for “Close Your Eyes Hold Hands” . . . The first time [my daughter] started reading my [unfinished] books was probably “The Sandcastle Girls” in the summer of 2011 when she had just graduated from high school. I loved everything she said, so now she’s joined my wife and my editor at Doubleday, Jenny Jackson, as being a very important [first] reader to me. 20 WINS A SEASON: I’ve written some really terrible books. . . . The books that are tree-killing mediocrities are those ones that I begin without a clear vision. I liken what I do at this stage in my life to being a baseball pitcher: You go to the mound 30 or 35 times in a season, and if you are really good you’re going to win 20 times. But the fact is, you’re still going to have some outings that are absolute clunkers. A SENSE OF WHERE YOU ARE: I found my voice clearly here in Vermont. I would never have written such novels as “Midwives” or “The Double Bind” if my wife and I had not moved here. I live in a town of not quite 1,000 people, halfway up Vermont’s third highest mountain . . . I love the fact that I can watch the sun rise over Mount Abraham, and I know exactly what season of the year I’m in by where the sun is in relation to the mountain. That’s always been so important in all of my work: that sense of scale, that sense of weather, that sense of who we are. Eugenia Williamson is a writer and editor living in Somerville. She can be reached eugenia.williamson @gmail.com.